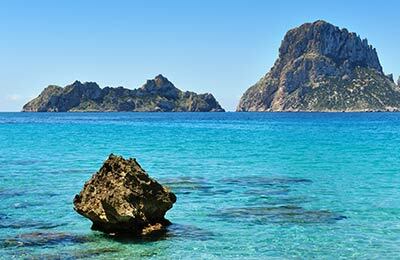 The average price found by our customers for Valencia to Palma recently is £308, with Balearia. Book a Valencia to Palma ferry today with AFerry. Just use the form above and choose the route that you want. If nothing appears automatically, start typing Valencia. You can also type the country or even the name of the ferry company you are interested in. When you have the route that you want, choose single or return and all the other options you want. If there is more than one ferry company operating on the Valencia Palma route we will show you all the ferry companies, to make sure you get our best price. 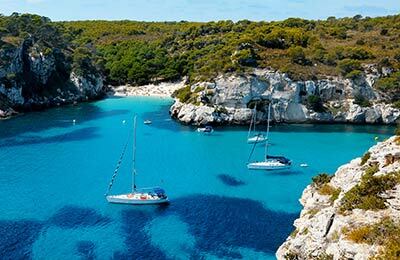 We'll also show you any routes similar to Valencia to Palma so you have the complete picture when making your booking. And of course you'll also see a range of times just in case it's a bit cheaper earlier or later than your preferred booking time. Once you've chosen your perfect sailing and have made your booking we'll email you your booking confirmation for your Valencia to Palma ferry. The majority of tickets have instant confirmation. Below you can see the ferry company or companies that sail on the Valencia to Palma route and the journey times. You might also see some recent prices our customers have found. The best way to find a cheap Valencia to Palma ferry though is to use the form above today to see all of our possible choices. With AFerry we always give you our best prices for ferries from Valencia to Palma. No matter which page you book from we always include all our special offers. And there is no need to look for a discount code. If we have an offer available, your ferry price will include the reduction or offer. There's no need to look at other websites. If you're not sure if the Valencia to Palma route is right for you or you can't decide between ferry companies, if there is more than one, you might also find it useful to read any reviews we have available. We ask all our customers to send us reviews for Valencia to Palma ferries. Remember though, that the earlier you book, the cheaper prices normally are. So don't spend too long deciding! Valencia to Palma is a popular route, so we advise you to book as soon as possible. An excellent service. The crew were welcoming and friendly.The operation was on time and boarding, disembarking was efficiently organised. The ferry was as smooth as a pond even to the fact we stopped at Ibiza and unloaded trucks and I did not even disturb. After a straight forward check in,was directed to the ship,parked up, then used the facilities on board. Was a pleasant crossing and would definitely use again. The ship was rather steady throughout the 7-hour trip. The Sirena seats were rather like plane seats which was all right. However, there is a need to improve the seat allocation process and accessibility to the Sirena section. If you are a foot passenger, make sure you find out where the pier was beforehand. We thought it was close to the beach area, but in fact, it was the other end and took us a long walk to get to the boarding area. It was not immediate clear where it was and there was not a foot path at some parts of the walk. Luckily, we planned ahead with plenty of time to spare and made it to the pier. First, the seat allocation process was not sophisticated at all. It was done while boarding the ship by using a pen-and-paper method. Our allocated seats were already taken by a family and it was impossible for me to ask them to move. Throughout the night, there were random passengers, which I thought some of them did not hold a Sirena ticket, came in and slept in the area. It made me feel rather unsecured as I felt like I could easily be robbed and could not trace down who did it. I would suggest to implement a system where a passenger could only access the area by scanning their ticket or something like that. Free-seating should not happen and everyone should be allocated a seat in a more professional and managed manner. The boat was old, overpriced tickets. The whole experience was terrible and would never do it again. (We had an amazing overnight ferry trip from Crete to Athens and had expected the same!!!) The rooms are dirty with bed bugs. The bathroom smelled and you could hear people next door like they were in your room!! !